We examine a supply chain in which a manufacturer supplies a single product to a retailer who faces two forms of customer returns. We compare the impact of these two forms of customer returns on the decisions and profits of the manufacturer and the retailer under various types of channel interaction: Manufacturer Stackelberg (MS), Vertical Nash (VN), and Retailer Stackelberg (RS). We find that when the level of customer returns that are proportional to quantity sold is extremely high, the retailer prefers the MS rather than the RS channel interaction. We also examine the impact of the asymmetric customer returns information on the decisions of the manufacturer and the retailer and on profits under MS and VN channel interactions. 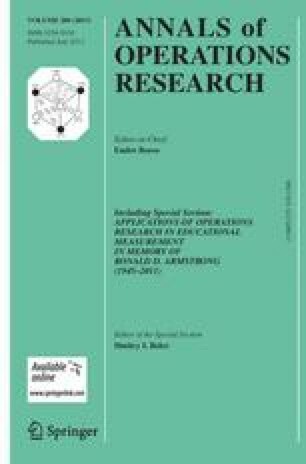 We show that in the MS case, the retailer can decide whether or not to share customer returns information with its manufacturer without knowing the manufacturer’s estimates of customer returns and in the VN case, both the retailer and the manufacturer can decide whether or not to share/acquire the information based on observation of the other’s behavior. The issues of sharing this information are also discussed. Roy, C. (2009). Debunking the myths of customer returns and the use of liquidation channels. Retail/Catalog Online Integration. http://www.retailonlineintegration.com/article/debunking-myths-customer-returns-use-liquidation-channels-409310/1.